Pancakes and Booze Underground Art Show - this is it's 2nd year in OKC and my third year to do the show! 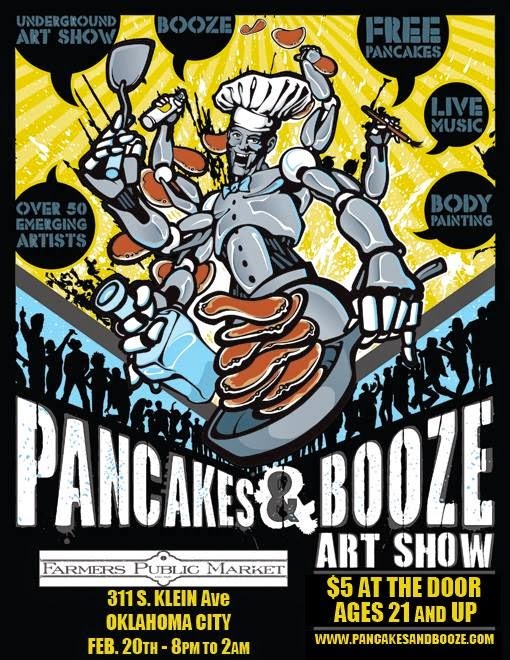 Last year was a blast; live music, body painting, and of course, pancakes and booze! This is an event with free all-u-can-eat pancakes after you pay the door, so pancake early and pancake often. Last year I did some live painting and in 2012 I did the Dallas show... more fun times to be had this year back in OKC!! you can also contact me anytime via my website or the email in the sidebar of this blog.